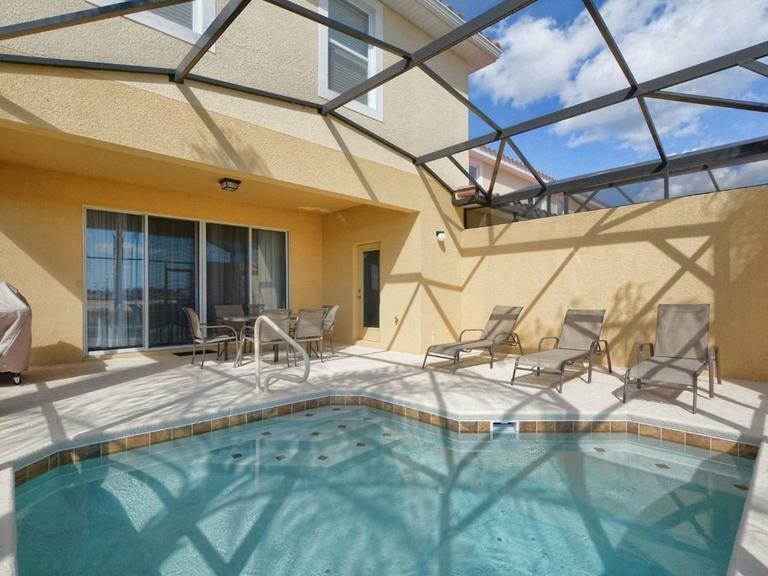 ★ DISNEY VACATION HOME 4 BEDRM/3.5 BATH AT SOLTERRA RESORT! it was a great experience to stay at Cozy Design in Solterra Resort. We found the house impeccably clean. I’d say that the rooms are even more beautiful than the pictures show. We stayed in a group of 5 adults and 4 children and felt the house could easily fit confortably more people. The kids loved the video game and the pool, although they didn’t have much time to use either because of the busy schedule we had while there. The kitchen is fully equipped and there is a Publix very close to the resort which gave us the opportunity of having some meals at home, saving money, and enjoying some time with family and friends before and after going to the parks. By the way, Disney parks are an easy fifteen-minute drive from the house. Checkin is a very easy process since you get a doorcode and can access the house anytime you arrive, which was very late at night in our case. We also went to the club house once and could enjoy the swimming pool and slides. Communication with Antonio and Danielle from AD Residences was easy and straightforward. They replied to questions and responded to doubts swiftly and efficiently. I certainly recommend the house, the resort, and the property management company. Awesome house, beautiful interior and modern. 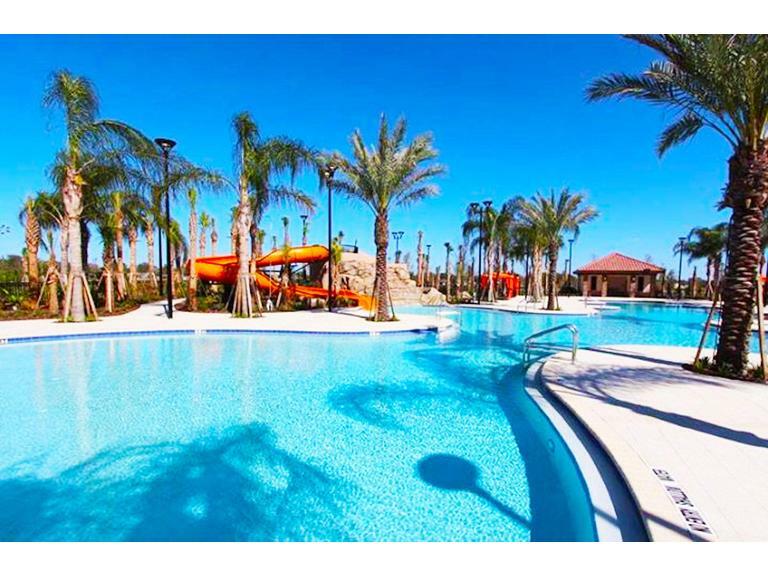 Brand new gated community townhouse resort. Extremely clean and well kept. We loved the property. Room for our family of seven. We also liked that this Home was part of a bigger resort community. 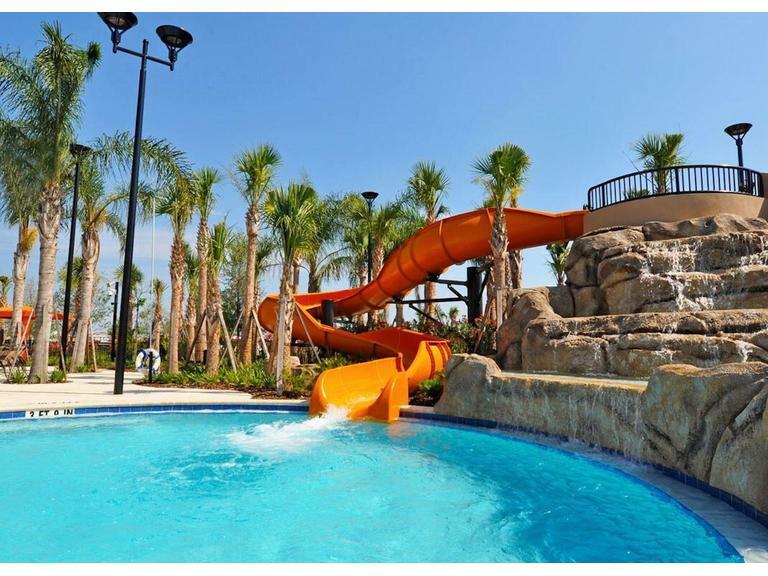 Our main objective was Universal Studios, but we took an extra day just to enjoy our vacation home, resort, community pool, waterslide, lazy river, etc. We highly recommend staying here. We had 9 people from age 12 to 70. Everyone had all the space and comfort they wanted. Never a question of hot water or pressure. The pool was a hit for a family from Montana in March. Disney, Universal, and the airport were 30 minutes depending on traffic. Grocery, pizza, and gas close. Very safe, clean house and location. The memory I made with my Grandkids was the best time and money I ever spent. Your Houses, Disney World Attractions.